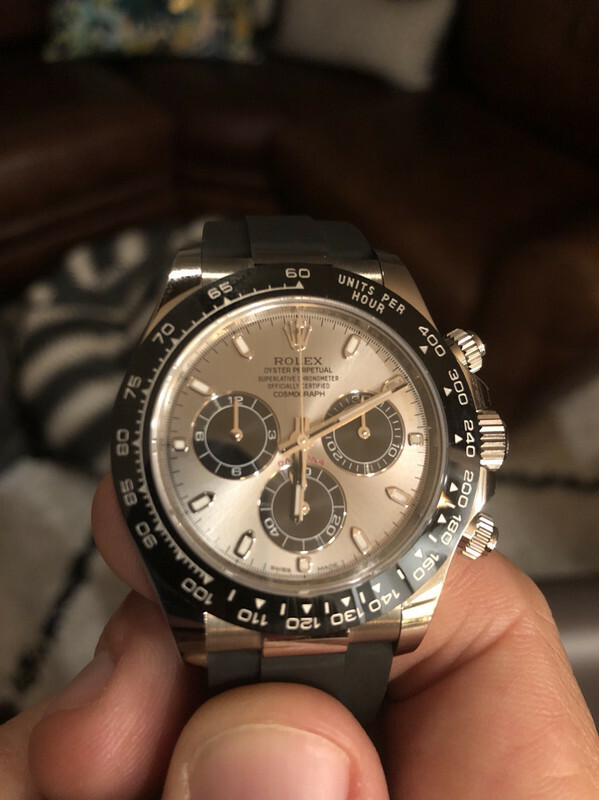 MINT Rolex Cosmograph Daytona Ref 116519 18k white gold on the factory oyster flex band, only 2 hours of wrist time since date of purchase. It still has the protective stickers in place, This watch is functioning perfectly and keeping great time within COSC. Overall condition is Mint. Watch is flawless with no issues. PRICE: $28,500 shipping and insurance is included (Bank Wire Only).